Turning 18 is a happy milestone for many—it brings new opportunities and adventures, from graduating high school to entering the workplace. But for those young people who turn 18 in foster care, the future is all too often too uncertain to celebrate. Each year, approximately 26,000 young people nationally age out of foster care on their 18th birthdays. In many cases, these young people find themselves living alone, without the support, resources, and guidance of a stable family or caring adults. As a result, they are more likely than their peers to drop out of school, become parents before they are ready, or end up in jail—costly consequences that affect us all. According to the latest data, negative outcomes associated with aging out of foster care cost American taxpayers more than $7 billion annually. This isn’t just an expensive problem. It’s a moral one – especially when you look at the number of young people who age out of foster care who become homeless. Imagine being on your own with no place to sleep. For many young people who have aged out of foster care, this is the difficult reality they face after leaving the system. According to a recent American Journal of Public Health article that analyzes data from a longitudinal study of youth aging out of foster care across the Midwest, this population is at high risk for becoming homeless during the transition to adulthood: by age 26, at least 30 percent of study participants reported having been homeless for at least one night. The Jim Casey Youth Opportunities Initiative has worked extensively over the past 14 years to increase the availability of safe, stable, and affordable housing for young people transitioning from foster care. As noted in our issue brief, From Foster Home to Homeless, a young person’s slide into homelessness is almost unavoidable if they don’t have access to the safety nets that most of us do: family, friends, financial resources, or services to rely on during tough times. Many American young adults manage the stress and financial challenges of emerging adulthood by living with their parents or other trusted family members. But for many young people leaving foster care, going home is not an option. In most cases, they are forced to turn to an under-resourced, poorly coordinated patchwork of services that help them get by for a period of time, but not flourish over the long term. To address this, we must first extend foster care services beyond the age of 18. While extending foster care is not a panacea for preventing homelessness, experts agree that the additional years provide a critical window for child welfare agencies to provide services and placement options that will help young people achieve stable housing. Indiana is one state that is leading the country in extending foster care beyond age 18 with its “Collaborative Care” program, which allows young people currently in foster care to opt to stay in care and young people formerly in care to re-enter, up to age 20. As a result, young people can choose to live in their own apartment, share one with others, live in college housing, or identify other housing options. To be eligible, young people must actively pursue their education (high school, GED, trade school, or college) and work at least 80 hours a month. An important first step, simply extending foster care services beyond age 18 is not enough. It is critical that young people experience the benefits of improved foster care services before they turn 18 in order to make an informed decision about staying in extended care. No one will choose to remain in a system that is broken, which means the system must be improved to make sure that foster care services better meet young people’s needs as developing adults. This includes providing them with opportunities to exercise their growing brains, to develop social networks, and to test their interpersonal and critical thinking skills so they can prepare for adulthood. In thinking of concrete ways to alleviate homelessness in our communities, I recommend that child welfare and housing agencies better coordinate their offerings. By working together rather than in silos, these agencies can improve the daily delivery of services to young people and better respond to their needs. They should also design services for young people that are directly focused on preventing – as opposed to responding to – homelessness. Above all, these services should prioritize permanency – which means including, strengthening and supporting nuclear and extended families in the young person’s life. The path won’t be easy, but the benefits to our communities are worth it. With committed local partners working together, we can be confident that young people transitioning from foster care will be better equipped to avoid the path of homelessness, and focus on making the most of this new and exciting chapter in their lives. 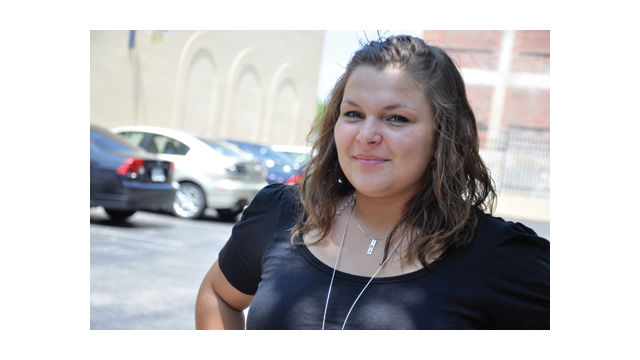 For more about the Jim Casey Initiative’s work, visit http://www.jimcaseyyouth.org. Gary J. Stangler is the executive director of the Jim Casey Youth Opportunities Initiative. Prior to joining the Jim Casey Initiative, Stangler served as the director of Missouri's Department of Social Services for eleven years. He served on the board of the American Public Human Services Association from 1994-1998 and, testified before Congress on foster care, indigent health care, and family preservation. He began his career in the Missouri Department of Social Services in 1980. Stangler serves on the board of The Center for the Study of Social Policy, is a fellow with the Center for Family and Policy Research at the University of Missouri – Columbia, and has received numerous awards, including the Lewis Hine Award for Service to Children. 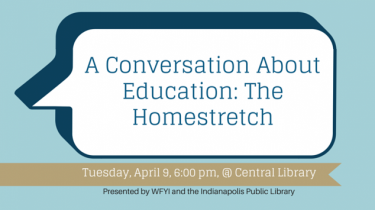 Join WFYI on Thursday, April 9, 2015, at the Central Library, as we host a screening of the documentary The Homestretch and a panel discussion about issues raised in the film, such as poverrty, foster youth, mental health LGBT, immigrants and more. The program, The Homestretch, follows the inspiring story of three homeless teenagers in Chicago, who fight to stay in school, graduate, and build a future despite incredible odds. This conversation, which is FREE and open to the public, will be hosted in partnership with Indiana Connected by 25, MCCOY and the Indianapolis Public Library. We hope you will join us! The Homestretch will also be broadcast on WFYI Public Television on April 13th.